On June 4th, 2013, a fresh springtime evening at the Berkeley Church on Queen Street East in Toronto was brimming with philanthropically infused energy and several hundred elegant patrons as the 42nd President of the United States of America, William Jefferson Clinton, graced the stage for an inspirational and thought provoking talk about the great challenges facing our generation and threatening our survival in the 21st Century and beyond. The historic Berkeley Church provided the perfect eclectic setting for this unique occasion, providing at once an air of intimacy and grandeur. The event kicked off with a Clinton Millennium Foundation video showcasing some of the wonderful philanthropic causes that it is supporting around the world, helping children, families and communities that are facing struggles in the areas of health, inequality and basic social needs among others. Celebrated Canadian actress Rachel McAdams kicked off the evening’s ceremonies as honourary ambassador with a heartfelt introduction for Bill Clinton as well as for the evening’s musical guests, Tegan and Sara. Rachel even encouraged the president to play a bit of saxophone along with Tegan and Sara. President Clinton was greeted to the stage with a roaring ovation from the packed audience. A seasoned and well versed public speaker, Mr. Clinton was very charming and charismatic in his talk. The President focused his speech on the importance and the urgency of key global issues facing our society and our planet. He spoke of the challenges facing humanity due to climate change and the melting of the polar ice, he addressed the issues of inequality, racism and intolerance and rallied the crowd to look past our differences and focus on the 99.5% that is identical in all people around the world. President Clinton went on to further stress that while we may not be able to tackle every problem, we should not give up on tackling the problems that are within our reach. He commented that philanthropy is not just for Bill Gates, Warren Buffet and other billionaire philanthropists. Everyone is able to make a contribution, within their means and their world to help humanity and their fellow human beings. During his presidency, Bill Clinton visited Canada five times, the most of any American president in history. Since his retirement, he has visited Canada 33 times, supporting the Clinton Millennium Foundation and its philanthropic efforts. After Bill Clinton’s inspirational speech, Tegan and Sara took to the stage for a very entertaining acoustic five song set. The evening was rounded out by an open bar cocktail mixer allowing the event guests to mingle and discuss the evening thoughts and ideas. The Clinton Millennium Foundation Gala at the Berkeley Church sparkled with inspiration, celebrities and great entertainment. All in all a very memorable evening that raised funds and awareness for a very important cause for our world and all the people who live in it. Written by Roy Rodriguez, special contributor to BestofToronto.net. The Clinton Foundation works to improve global health, strengthen economies, promote health and wellness, and protect the environment by fostering partnerships among governments, businesses, nongovernmental organizations (NGOs), and private citizens to turn good intentions into measurable results. 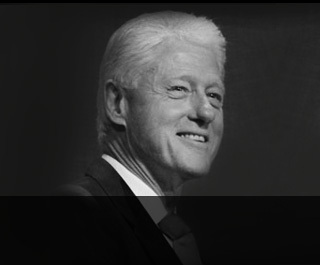 For more information, visit clintonfoundation.org, read the blog at clintonfoundation.org/upclose, and follow us on Twitter @ClintonFdn and Facebook at Facebook.com/BillClinton.